Farhan Akhtar And Shibani Dandekar Have Exchanged Rings And Are Ready to Tie The Knot in April? Farhan and Shibani look all loved-up in the pictures they share online. We have seen a good number of celebrity weddings in 2018, and an equal number of stars making their relationship public. There have also been speculations about some of them after they were pictured together or after they shared pictures on their own social media pages. 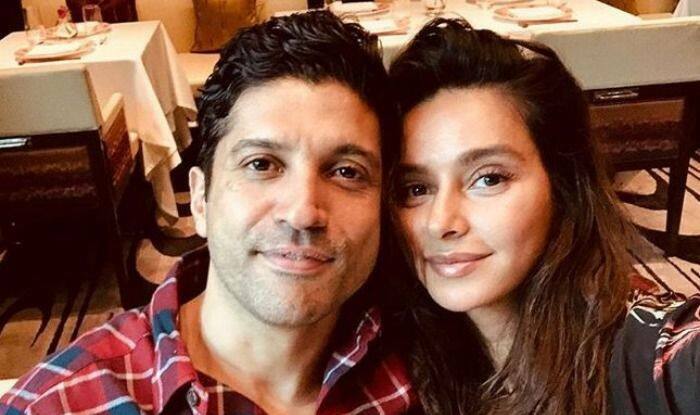 One such couple is Bollywood actor-director-producer Farhan Akhtar and singer-television anchor Shibani Dandekar, who are rumoured to have exchanged rings and are set to tie the knot either in March or April this year. The two have never come forward about their relationship, but judging from the pictures they share on their social media pages, it is evident that they are totally in love with one another. According to a report from DNA, a source revealed that Farhan and Shibani are all ready to take their relationship to the next level, with the former’s children with ex-wife hair stylist Adhuna Bhabani already warming up to her. “They are extremely serious about each other and Farhan’s kids have also warmed up to Shibani, so this looks like the most obvious step for the two,” the source was quoted as saying. Bollywood Life reports that the two have already exchanged rings and are on the lookout for wedding planners and caterers for their big day. On the work front, Farhan will next be seen in The Sky Is Pink which also features actresses Priyanka Chopra and Zaira Wasim. Directed by Shonali Bose, the film is based on the life of Aisha Chaudhary who was diagnosed with pulmonary fibrosis.